I love cheese. Of course, you don't have to have cheese to survive; but if you have access to milk, it would be nice to still be able to have it around, even in tough times. It's cheaper to make too, and you could even use it to barter. If you have cows or goats or know someone who does, you may want to try it now and practice a little. 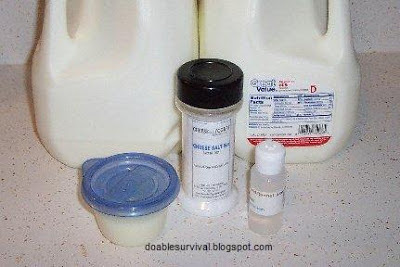 :) You can use store-bought milk also. I had to use that as raw milk is actually illegal to sell retail in some states, including mine. 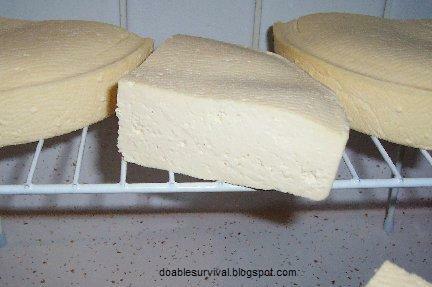 Also, you can wax hard or low-moisture cheeses and let them age and store for years. I plan to also buy cheddar when it is on sale and wax it to store. 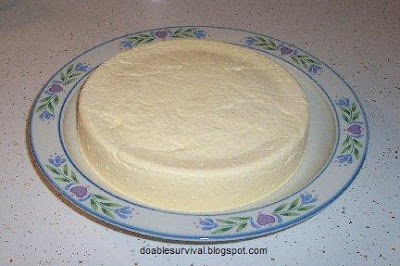 I am new at cheese making myself. 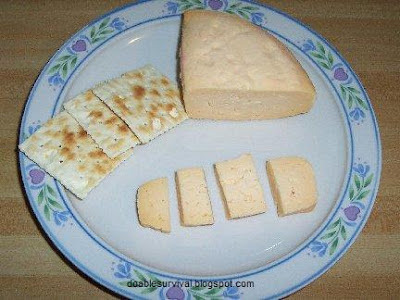 Cheddar worked out much better for me than Mozzarella did even though it takes more effort. 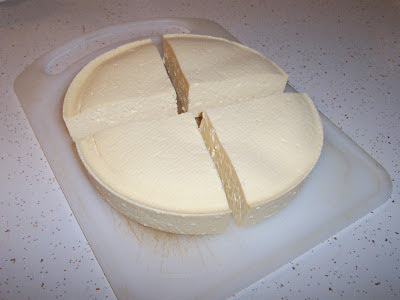 When I first started reading about making cheddar, I read about how you have to have a cheese press, cheese molds, etc., which I can't afford. 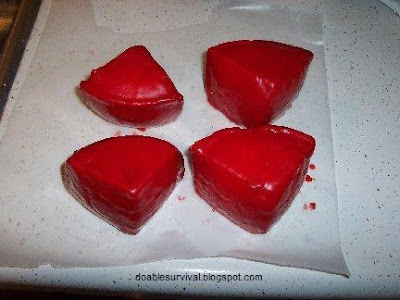 It sounded too complicated; but after looking at how-to sites on how to make your own molds and presses, I got the general idea of it. It isn't as hard as it sounds. 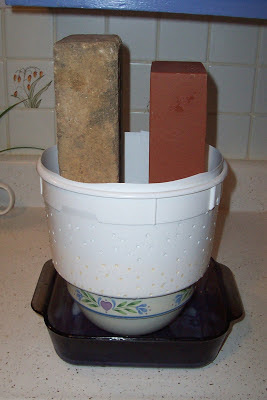 I used two ice cream buckets/pails to make a cheese mold. I made one out of two large lard containers too, but I like the ice cream buckets better. 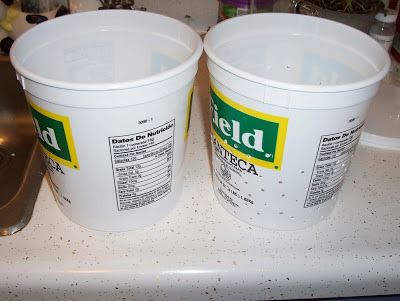 (I buy lard to make a suet recipe for the birds.) 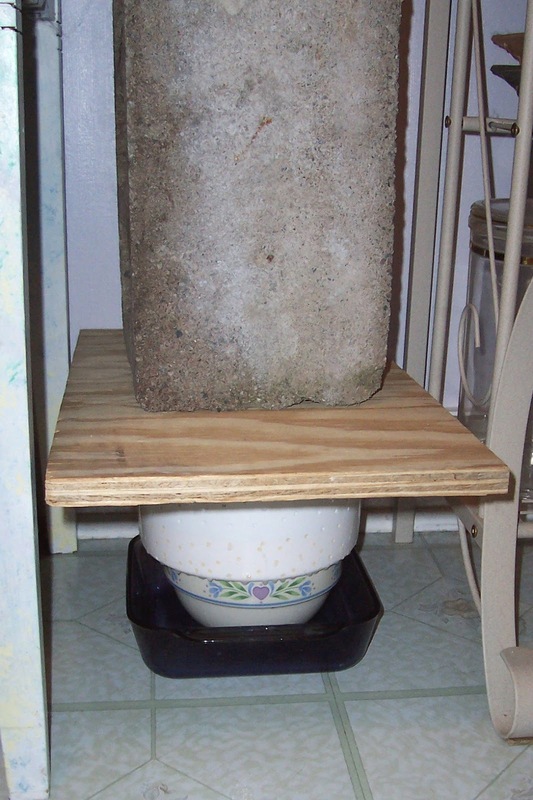 There are some home-made cheese press directions that look pretty easy, and I still plan to make one; but for now, I simply used a board over the top of the press with the weights on top. (More on that below.) If you have small children or pets that might tip over the weights, you definitely want to secure it better somehow. 2 gallons whole milk. You can use raw milk, cow or goat, or store-bought. 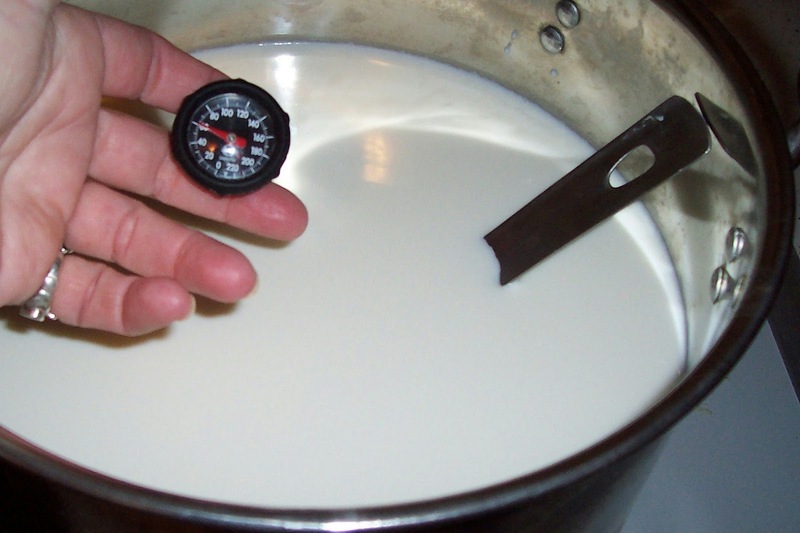 Heat the milk to 90 degrees in a large pot, (goat’s milk 85 degrees). I found a medium stockpot worked well. Add the starter and stir. Cover and let it sit for 45 minutes. Then, add the diluted rennet and stir in gently for about 1 minute. 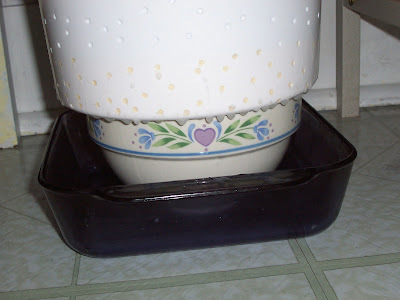 (If using fresh cow milk, stir no more than 1/2-inch deep.) 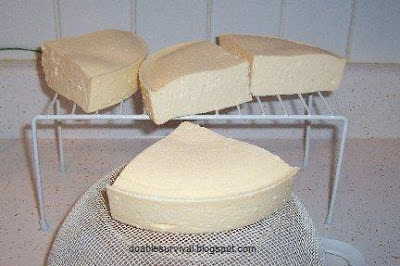 Cover and let it sit, keeping the pot at 90 degrees (85 for goat’s milk) for 45 minutes or until you can get a clean break with the curds. 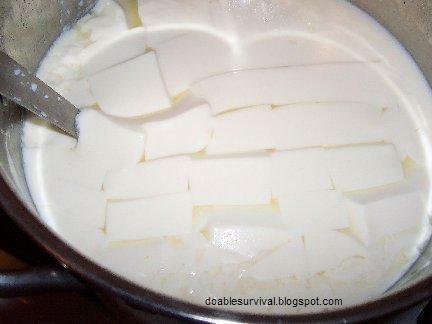 Use a knife to cut the curds in about 1/2-inch cubes. 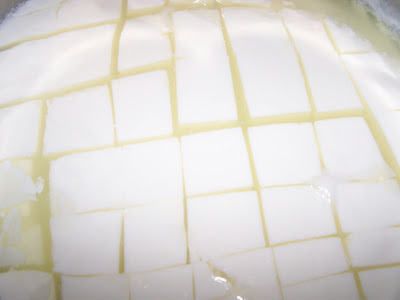 (The curds should stay intact if lifted.) Very slowly raise the temperature up to 100 degrees, about 2 degrees every 5 minutes. Stir occasionally, carefully. Then, cover and let sit for 5 minutes. 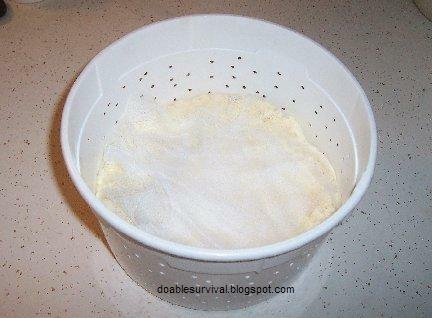 Line a strainer with cheesecloth and put the curds in the strainer. 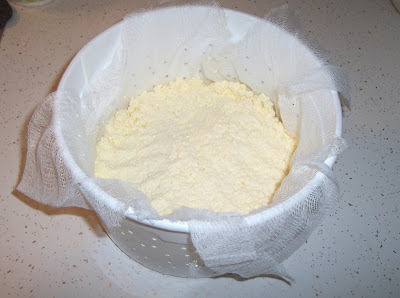 You can tie up the ends of the cheesecloth and hang it from a stick or something to let the curds drain. 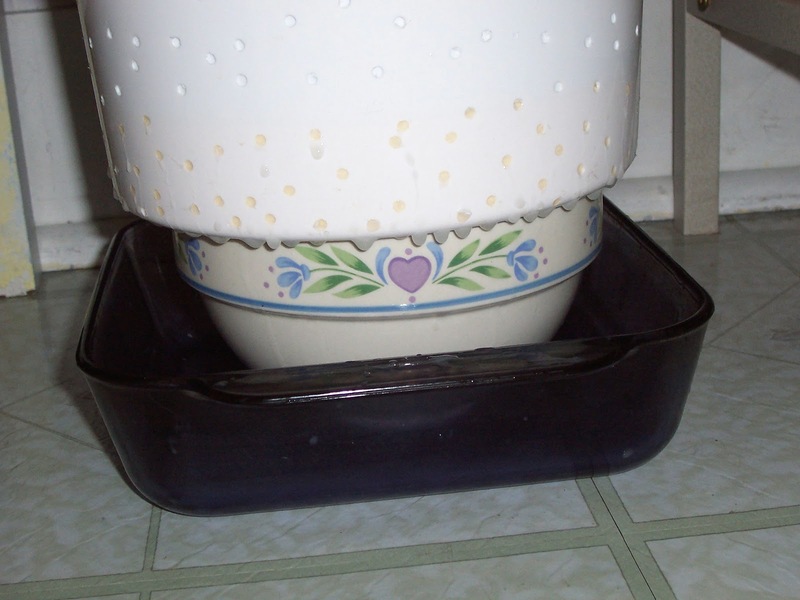 I let mine sit in the strainer and lifted it up now and then to gently push a little more whey out. 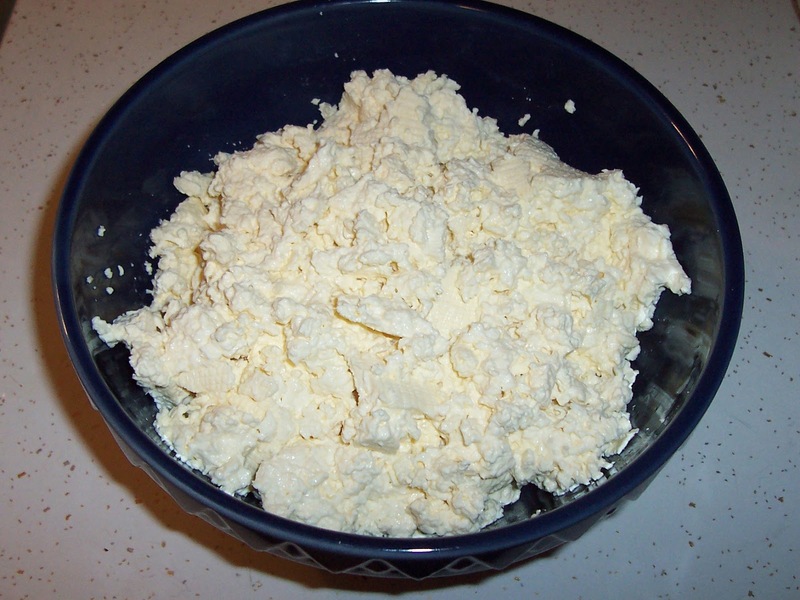 After an hour or so, put the curds in a bowl and break it up with your fingers, mixing in the salt. Line the cheese press with cheesecloth and put the curds in. Press the curds down with your hand and fold the cheesecloth over the top. 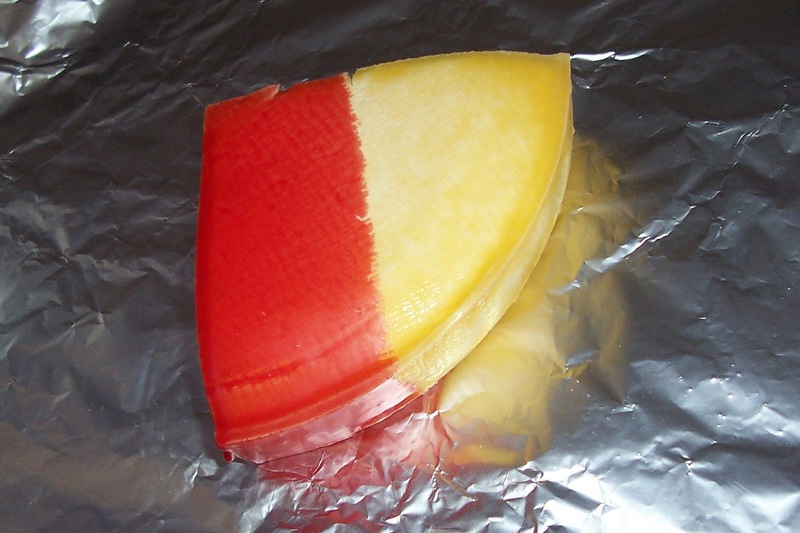 Put the follower in (the part that presses the cheese)and add weight, 10 pounds for 10 minutes, flip the cheese; 20 pounds for 10 minutes, flip the cheese; 50 pounds for 12 hours. Air dry the cheese until it forms a rind, 2-4 days and then you can wax it and age it. I put it on something that lets the air get under it too. Flip it over occasionally to dry it evenly. (My fancy schmancy cheese press! lol I used bricks, 5 pounds each, at first. 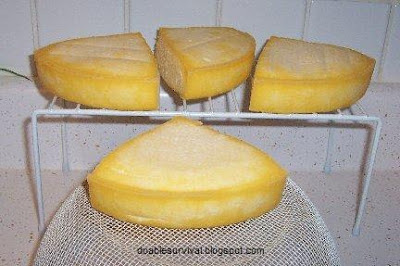 After a few days of drying, it forms a rind. softened again; so that doesn't get wasted. 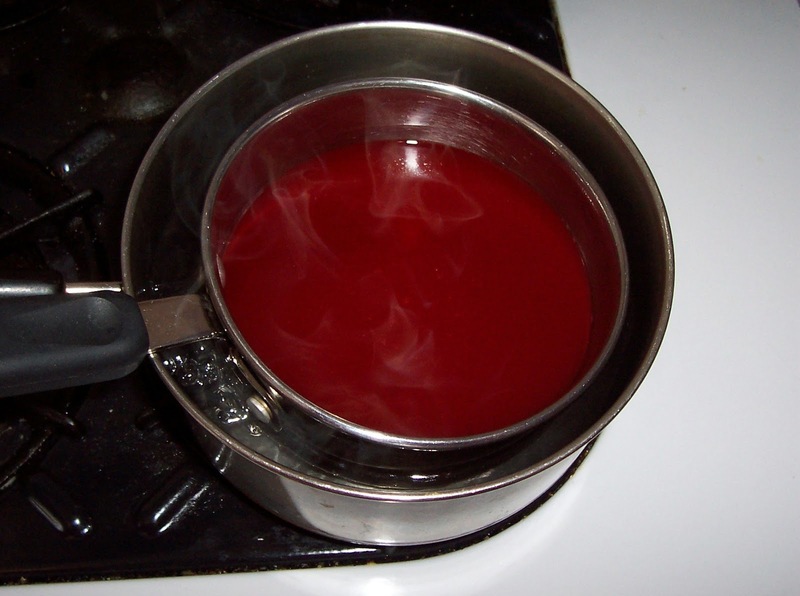 (water in a bottom pan). coats than to try to do one thick one. I read, ideally, it should be kept at 46-52 degrees. You can age it in the refrigerator though. Keep it out of daylight. 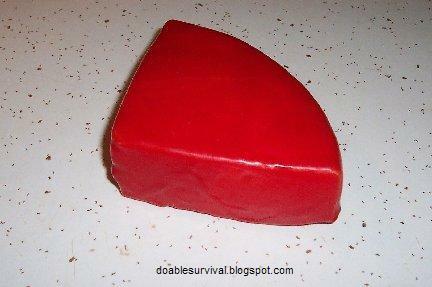 You can age it as long as you want, anywhere from 6 weeks to 18 months or so for sharp cheddar. I still have to do more reading on that and will do an update. 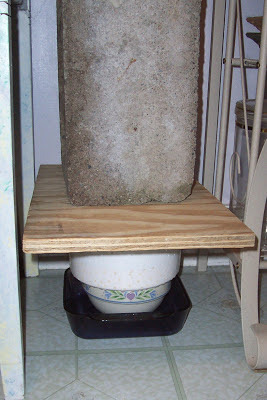 This is the cheese press I made out of lard containers. I like the ice cream buckets better as it isn't as thick. This was the batch I made with the lard containers. Update: mmmm I broke into a batch I made in mid-February (this being 4/29) and it's very tasty. Too early to be sharp, just a mild flavor. The wax had split open on this one. I need to make sure to press it long enough and then dry it long enough. Fantastic blog! 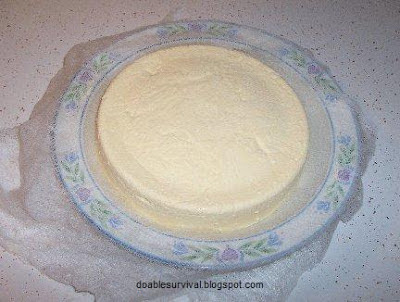 I appreciate your effort of sharing how to make cheese. This is very informative. Thanks for the tips!